Method is a cabinetmaking workshop and creative studio that inhabits the world's of design, artisan craft and experience. Architects of objects, if you like. 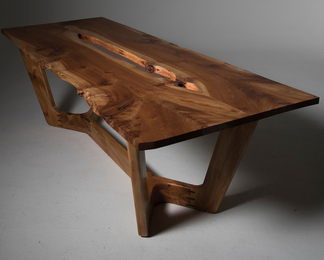 They treasure the opportunity to undertake personal journeys with their clients - culminating in the creation of timeless handmade furniture and objects, painstakingly crafted in Scotland from the finest native hardwoods, leathers and metals. Their work bears the unmistakable mark of the makers' hand, but this is a gentle, thoughtful touch; always allowing the elemental, tactile beauty of the natural materials they use to shine through. 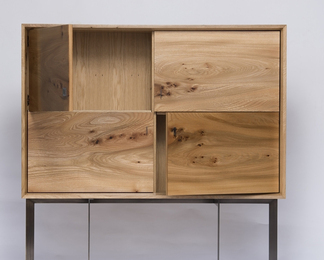 Second generation cabinetmaker Callum Robinson and architect Marisa Giannasi are the filter through which every decision is refined, considered and polished - working with a small team of dedicated and highly skilled craftsmen from their rural workshop near the historic Royal Burgh of Linlithgow, in central Scotland.